About 760 B.C., God sent the prophet Jonah to preach against the evil of Nineveh. Located on the Tigris river, Nineveh was the capital of a vast empire located in present Iraq, near the city of Mosul. Israel hated Nineveh because they had been at war. In His infinite compassion, God called Jonah, a Hebrew prophet, to preach repentance to Israel’s enemies in Nineveh. The Book of Jonah records the ministry of Jonah, a very reluctant and rebellious evangelist. In all of our lives, God calls to us with His plan and purpose for our lives. If we will listen, the Lord Jesus Christ will speak to you through His word, the Bible. Listen to Jesus, read the Bible, and learn from Jesus. Jonah had a lot to learn about listening to Jesus. God called Jonah to deliver in person His message (verse 1). God sent special messages to the prophets of the Old Testament. God commissioned them to bring the message of salvation by faith alone to all the nations. God used human messengers to bring God’s message of divine love to many people in many places. God called Jonah to go to Nineveh, the Wicked City (verse 2). Imagine yourself as an American walking into Berlin, Germany during Hitler’s reign of terror. Such was Jonah called to Nineveh, the land of Israel’s enemy. Jonah was from Gath Hepher, a town in Zebulun in Northern Israel. During this period, the land was divided into two parts: Israel (ten northern tribes) and Judah (two southern tribes). Jeroboam II was King of the Northern Kingdom from 794-793 B.C., and reigned from its capital, Samaria. Jeroboam II was very evil, but God used Jeroboam II to deliver Israel from the Syrians who had greatly oppressed them (2 Kings 14:23-29, page 619). God delivered them because He was faithful to His covenant with Abraham, Isaac and Jacob (Genesis 12:1-3, pages 16-17) to preserve the land for His people (2 Kings 14:23, page 617), even though the people of Israel rebelled against God. God used Jonah to prophesy to Jeroboam II that he would restore the border of Israel from the “entrance of Hamath as far as the Sea of the Arabah” (2 Kings 14:25, page 619). The story of Jonah portrays God’s great love for evil enemies and how He quells the rebellion of His own messenger. in this case, God had heard the cries against Nineveh, because Nineveh was a very evil city. God devised a wonderful plan of grace for that city and so He sent Jonah to speak of repentance to the evil city. If you have found forgiveness by faith in Jesus Christ, then someone probably shared with you the good news that Christ died for you on the cross. You can receive forgiveness from Him only if you ask, and believe that He died for you and rose again. In this case, Jonah had heard the call of God in his life, and knew the living God. He had personally experienced God’s forgiveness, but Jonah absolutely refused to bring the good news of forgiveness to his enemies. If you decide to ignore the Lord Jesus Christ, then you can expect that He will reach out to you, grab you, and call you to follow Him in love. You may still rebel against His call upon your life, but doing so will lead to calamity. Jonah learned about rebellion against the Lord Jesus and the calamity which follows rebellion. “But Jonah rose up to flee to Tarshish from the presence of the LORD. So he went down to Joppa, found a ship which was going to Tarshish, paid the fare and went down into it to go with them to Tarshish from the presence of the LORD. Jonah fled to Tarshish, instead of going to Nineveh. Picture a map in your mind and you are standing in Israel. To the right (east), lies Nineveh. To the left (west), about 2,500 miles away in the south of Spain on the Atlantic Ocean, lies Tarshish. Jonah intended to flee from the presence of the LORD (verse 3). Jonah thought that he could hide from God because he did not want to obey God’s command. I think you could name several times in your life when you knew exactly what God wanted you to do, but you deliberately chose to go the other way. Maybe you are still running from God. Jonah went down to Joppa, a seaport in Israel, and embarked on a ship to Tarshish. Twice in verse two God emphasized that Jonah thought he could run from the presence of the LORD. If you learn nothing else from the story of Jonah, learn how stupid it is to run from God’s presence, because God is everywhere. The LORD will take all appropriate steps to conform you to his calling (verse 4). The LORD sent a violent wind on the sea and the ship began to break up in the great storm. When the storms rise in your life, and you are wondering why things are going so badly, ask yourself about your relationship with Jesus Christ. Are you trying to run from Him regarding His call in your life? If so, you can expect a very negative weather forecast in your future. “Then the sailors became afraid and every man cried to his god, and they threw the cargo which was in the ship into the sea to lighten it for them. But Jonah had gone below into the hold of the ship, lain down and fallen sound asleep. Your rebellion will not only cause you trouble, but it may also imperil the people around you (verse 5). Jonah had to learn a very important lesson in the middle of that storm. You may think you can hide from God, and it will be no big deal. 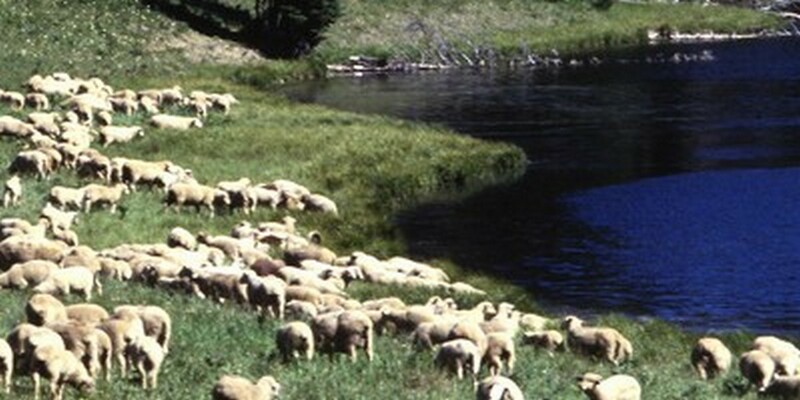 But God will always be very concerned about every disobedient sheep from His fold. If you are truly in Christ, and forgiven, then you can count upon a loving heavenly father tracking you down and sending storms to change your course. In this case, everyone on that ship with Jonah knew they were in mortal jeopardy. They began crying out to their gods, and they threw valuable cargo overboard to lighten the load. Jonah, however, went below and fell sound asleep. Count upon God to send all kinds of people to you to end your rebellion (verse 6). Almost ironically God sent a pagan captain to rouse Jonah and command him to pray. The last thing Jonah wanted to do was to pray to the God he was fleeing. The captain knew that only God could save the boat. You may recall that the disciples of Jesus awakened Jesus in the middle of a storm and told Him they were perishing and He did not even care. Jesus rose and stilled the wind and waves (Matthew 8:18-28, page 1533). In this case, we have no record that Jonah ever lifted his voice in prayer on that ship. Count upon God to make your rebellion known to everyone (verse 7). God stirred the shipmates of Jonah to draw lots to find out why the great storm had come upon them. When they cast lots, the lot fell to Jonah. Remember Proverbs 16:33, page 1025: “The lot is cast into the lap, but its every decision is from the LORD.” No surprise there! Jonah knew exactly what the problem was: his rebellion. He flatly denied the call of God and he persisted in the hardness of his heart. But God was not through with Jonah. Count upon the people around asking you very hard questions (verse 8). Have you ever noticed how disobedient children do not like to answer questions and often will do their best to change the subject or blame someone else. Well, Jonah heard many questions from his shipmates in the middle of that storm. They asked: “On whose account has this calamity struck us? What is your occupation? Where do you come from? What is your country? From what people are you?” Jonah knew these men meant business and he would have to answer. “He said to them, ‘I am a Hebrew, and i fear the LORD God of heaven who made the sea and the dry land.” . Count upon your answers to hard questions focusing more attention upon you (verse 9). Jonah put his finger right on the problem with his answer. “I am a Hebrew, and I fear the LORD God of heaven who made the sea and the dry land.” With this one sentence, Jonah declared that he served the ocean God who also ruled the dry land. His shipmates immediately understood that they had found the man with the problem, and the reason God had sent the storm upon them. Remember the lot had already fallen to Jonah. Now the men knew why. Expect that people around you will wonder why you cause everyone such big problems (verse 10). When his shipmates heard the answers, and saw more of the storm, they took Jonah to account for fleeing from the presence of the LORD. Jonah had told the truth, and now even pagans were extremely frightened. They asked a simple question to Jonah: “How could you do this?” They had keen insight into Jonah and the calamity he had brought upon them. “So they said to him, ‘What should we do to you that the sea may become calm for us?’–for the sea was becoing increasingly stormy.” . As the storm gets bigger, get ready for people around you to ask what they should do with you (verse 11). The storm increased, and the shipmates brought another question: “What should we do to you that the sea may become calm for us?” When people understand that your rebellion has brought disaster upon them, they will want you to take care of their problem. Jonah’s shipmates had now learned that he was the problem, because he was trying to flee from the presence of the LORD. They had cast lots and that lot fell to Jonah. He confessed and they wanted an answer from him about what to do with him. God will cast you down in the middle of your rebellion (verse 12). Jonah directed the sailors to throw him into the roiling sea. He promised them that the sea would become calm, because he knew that on account of him the great storm had come upon them. You too may even consider suicidal acts in the midst of your rebellion. “However, the men rowed desperately to return to the land but they could not, for the sea was becomning even stormier against them.” . The people around you will not always be ready to adopt your plans, at first (verse 13). The shipmates decided to try their own rescue by rowing back to land. But the storm increased even more, and their efforts produced nothing good. You may notice that some of the people around you will try to use their own methods to help you. Those efforts will not achieve God’s ends unless you end your rebellion. Notice in this story they tried to get to land. On land, they were no longer heading to Tarshish, but out of the storm. God had already decided that Jonah must be thrown overboard and His will would control everything. God will use people, waves, storms and everything else He desires to move you to repentance. He loves you and wants you to heed His calling. Even pagans will call upon the LORD for deliverance as they watch your rebellion (verse 14). Jonah told these men the truth, and now they were talking to Jonah’s God. They asked to be relieved of his blood, because they believed that throwing Jonah overboard in the storm would be tantamount to a death sentence. The sailors recognized that the LORD had done as He pleased. These men had clarity regarding the rebellion of Jonah. You can expect people around you finally to throw you overboard (verse 15). The sailors had finally had enough of the storm and the sinner, Jonah. After praying, they threw Jonah overboard. You can expect that your friends, family, and others will finally throw you overboard if you persistently cause them trouble with your rebellious sin. Your sin can still lead other people to call upon Yahweh for deliverance (verse 16). After they threw Jonah overboard, the sailors offered a sacrifice to the LORD and made vows. Have you ever made a vow when you were under tremendous pressure? God will always expect us to keep our vows. In fact, God expects you to love Him every day. Consider how strange God’s plan of evangelism was for this group of sailors. He would send a prophet to them, take them into a tremendous storm, see the lot cast, hear the message during the storm of God’s rebellious prophet running from God’s presence, throw the the prophet overboard, the storm subsides, and now they sacrifice and vow to God. Well, God uses many different people in many different ways to spread His message of love–even rebellious prophets and fantastic storms. You can expect things to swallow you whole when you rebel against God (verse 17). Jonah was in for a little Fish Time. God “appointed (“יְמַן”)” a great fish to swallow Jonah. The text indicates a special act of God in sending that giant fish. In Jonah, God “appointed” four things: the great fish (Jonah 1:17), a plant (Jonah 4:6), a worm (Jonah 4:7) and a scorching east wind (Jonah 4:8). God acts deliberately in performing His plans in our lives. The Hebrew word for fish (“דָּג”; compare Matthew 12:40, page 1521, “belly of the sea monster (τῇ κοιλίᾳ τοῦ κήτου)”) includes the possibility of a whale, a regular fish, or even some enormous sea monster. In any case, God used this fish for His miraculous purpose for Jonah and the people of Nineveh. Jesus specifically called this event a miraculous sign (Matthew 12:39, page 1521). After Jonah rebelled against God, and in utter futility tried to flee from the presence of the LORD, Jonah cried out to the LORD his God from the stomach of the fish. Jonah knew that God listened to him, and now we gain instruction from the LORD about what we should do when we pray. When you rebel against God, you can expect at some point you will be inclined to pray (verse 1). Jonah began to pray to God from the stomach of the fish. Remember that we have no record that Jonah prayed while on the ship during the storm. When he finally prayed, we read he prayed to the LORD his God (יהוה אֱלֹהָיו). You can always count upon God to move you to prayer, even in the middle of your rebellion, no matter how low you have sunk. He loves you forever, no matter what. After a time of rebellion, distress will motivate you to pray (verse 2). From the stomach of the fish, Jonah began to pray and the first thing he tells God is that he is praying from his distress (“מִצָּרָה”). The word comes from a root associated with narrowness, and I find that image of praying from the confines of a stomach very narrow indeed. God answers prayer, all kinds of prayer, from all kinds of places. Consider Psalm 66:18, page 917: “If I regard wickedness in my heart, the LORD will not hear.” This fact means that Jonah had turned a spiritual corner because God heard him. He no longer regarded wickedness in his heart. Jonah described himself as being in Sheol. The term Sheol had a very broad meaning, and included a dark, gloomy place for the dead. We must not conclude that Jonah died because he calls upon God from Sheol. David likewise called to God after he had been rescued from Sheol in Psalm 30:3, page 881: “O LORD, You have brought up my soul from Sheol; you have kept me alive, that I would not go down to the pit.” The sense here is that Jonah had descended to a dark and gloomy place, a place of evil. But even in Sheol, God hears the righteous, for He is there (Psalm 139:8, pages 992-993). When you pray, acknowledge to God how He has driven you to Himself (verse 3). Jonah recognized that God had “cast him into the deep, into the heart of the seas, and the current engulfed him.” Prayer often means that you take time to speak out loud your perception of the world and God’s activity in your life. Jonah continued that “all your breakers and billows have passed over me.” The belly of the fish provided a place of prayer for Jonah, but it also represented a deep, sheltered place. When you are down in your rebellion, but looking up to God in prayer, know that God always sees you, no matter how you feel (verse 4). Jonah told God that he felt “expelled” from God’s sight, but even so he would look again towards God’s holy temple. Shifting his sight signaled a change in the heart and attitude of Jonah. Running away from God’s presence no longer appealed to him. Expect that rebellion will lead you near death, and keep you wrapped up in problems (verse 5). Jonah described his plight as encompassed to the point of death, with weeds wrapped around his head. This picture so perfectly describes how messed up people can become as they persist in their rebellion. Even when God sent the fish to Jonah, he still came near death, and that stomach was not a pleasant place. Recovery from your problems, even under God’s guidance, may not always be easy. God delivers the rebellious from the deepest pits of life (verse 6). Jonah said he descended to the roots of the mountains and the bars of the earth imprisoned him, but God brought His life up from the pit. Jonah again acknowledged God as LORD and his God. God revives the fainting as they remember Him, and your prayers for deliverance, offered in faith, will reach God (verse 7). Jonah began to faint away, but remembered God, and prayed. His prayer reached the temple of God because time and space never pose any obstacle to prayers. When you feel yourself near the end, pray for deliverance, just like Jonah. Rebellious people regard vain idols and forsake their faithfulness (verse 8). Jonah had this principle crystallized in his mind: trusting in vain idols caused people like him to forsake their faithfulness. Jonah had idolized his own hatred for the people of Nineveh to the point where he forsook his faithfulness to God. When rebellion ends, thanksgiving begins and salvation reigns (verse 9). All of chapter 2 forms one prayer. As far as we know, it was the only prayer offered from the deep ocean, within the stomach of a great fish. Jonah’s prayer concluded with thanksgiving, and a commitment to keep his vow to the LORD. He would go to Nineveh and preach the Gospel of God to them. Jonah knew that his salvation came from God, and that same God wanted the people of Nineveh to hear His words of life. When you come to your spiritual senses, you can expect God to deliver you to dry land (verse 10). Jonah was still under the control of God, and God still had a mission for Jonah. God commanded the fish to “vomit” Jonah onto dry land. God will always deliver you to right place at the right time when you trust in Him. Jonah had certainly taken the long and rebellious route to God’s destination, but once the rebellion ended, and prayer began from a repentant heart, God moved Jonah right back to God’s mission. God loves to pour His kindness upon His children and send them back to His work. We should always remember that God never gave up on Jonah and He will always love you too. God called Jonah again, telling him to go to Nineveh. Jonah had already been through a time of rebellion against the call of God, but now he had to make a decision again about obedience to God’s will. Having prayed from the bottom of the oceans, inside the stomach of the fish, how would Jonah now respond to the loving call of God to preach repentance Jonah’s enemies? You can count upon God to bring you back to the same spiritual place where you decided to rebel in the first place (verse 1). God will faithfully bring you back to His service when you turn your heart to Him. Remember that Jonah had prayed that he would keep his vows to God which he made from the belly of the fish (2:9). Now God has graciously extended His call again, and Jonah has to make a decision: to go to Nineveh or not. You can count upon God to give you the words to say at the right time (verse 2). I meet many people who worry about what they would say if they had to share their faith with someone else. They fear rejection, ridicule, and rebuff. God promised Jonah the words to say at the right time. Jonah knew he was just a mouthpiece for God. In the New Testament, Jesus said that He did not speak on His own initiative, but the Father Himself gave Him a commandment as to what to say and what to speak (John 12:49, page 1682). Jesus promised His disciples that did not have to worry about how or what to say before kings, and governors, because the Spirit of their Father would be speaking in them (Matthew 10:19-20, 1516). We never have to doubt that God will provide everything we need, right down to the words, when we share His message. God desires for His Spirit to speak through us. We only have to yield in faith to His will. Satan and our flesh distract us by making us think we have to speak, when in fact God wants to use us to His glory. Obeying God means that you actually get up and get going (verse 3). How many times have you heard people in rebellion promise you that they would do something, but then never seem to do it. Jonah did it, he got up and got going. Rebellion ends when you do God’s will, not just talk about doing it. Notice too that Nineveh was a huge city. Archeologists tell us the capital complex extended about sixty miles in circumference. In the early part of the eighth century B.C., King Jehoahaz (814-798 B.C.) pleaded with God to deliver Israel from the oppression of the Syrians. God sent a deliverer (2 Kings 13:5, page 616), probably King Adad-nirari of Assyria (810–783 B.C.). According to the ancient Eponym Chronicle, which recorded the woes and fortunes of Nineveh, the capital of the Assyrian empire, it had fallen on hard times in the middle of the eighth century B.C. Famines struck in 765 B.C. and 759 B.C. and the empire had fragmented into separate provinces rebelling against the central authority of Nineveh. During this time, Jonah arrived to speak the words of God. God will use you for His glory after you end your rebellion (verse 4). Jonah had been called to preach to Nineveh. He walked into their great city preaching a message of impending doom. This part of his message now explains why he was running from the presence of God. Apparently, Jonah knew that God was about to overthrow Nineveh, and if he just delayed his message, then the forty days would expire and Nineveh would be destroyed. Jonah thought time was on his side. God desires that everyone, including your worst enemies, believe in Him for forgiveness of sins (verse 5). Jonah had a very difficult time understanding God’s forgiveness. He loved it for himself, but hated it for his enemies. Yet God loved his enemies, and sent Jonah to offer life and peace with God. In this case, the people of Nineveh, from the greatest to the least of them, began to fast and dress in sackcloth. Sackcloth is scratchy to skin, and makes you feel uncomfortable. It symbolized the new spiritual attitude of repentance in Nineveh. The people immediately believed Jonah and His message from God. God touches the hearts of some kings with His love and leads them to repentance (verse 6). You never know where God will lead you to proclaim His good news of salvation (verse 6). God let the king hear the message and he took off his royal robes and exchanged them for scratchy sackcloth. He even sat on ashes, another symbol of repentance and sorrow for sin. God can use government leaders to turn nations back to Himself (verse 7). This king not only changed his own behavior, but he also issued a proclamation to everyone, including animals, in his kingdom to fast without food or water. The king intended his entire kingdom to repent of their sin before God. God can use government leaders to lead people in prayer (verse 8). Prayer plays an important part in repentance and salvation. The king commanded earnest prayer by all men that God would turn each man from his wicked way and violence. This remarkable prayer shows how God can move an entire nation of warriors to leave violence and seek God. The very thing Jonah hated about Nineveh was its aggression toward Israel. Now, God will abate that violence and call these pagans to Himself. God can use government leaders to move people to seek God’s mercy and grace (verse 9). The king commanded the people to pray even though he had not been promised that God would relent from His plan to overthrow Nineveh. In Christ, we have much better promises that God will never condemn us (Romans 8:1, page 1768), never leave us or forsake us (Hebrews 13:5, page 1886), and that God works all things for the good of believers called to His purpose (Romans 8:28, page 1769). Even without knowing the final will of God, this king prayed along with his people. He did know, however, that God was very angry with them, and they were in danger of perishing for their deeds. Compare John 3:16, page 1658, to the king’s prayer. God listens to prayer and responds in love to every sinner that calls upon Him for deliverance (verse 10). When this whole nation prayed for deliverance, God chose to withhold the calamity. Repentance with faith had brought salvation. God does not always save every nation from destruction for its evil ways, but in this case God has a special plan for Nineveh. He wanted to show the world, and particularly Israel, how he loves everyone on earth and desires their salvation by faith. He is not willing that anyone should ever perish (2 Peter 3:9, page 1903). God promises you, and every single person, that He will forgive every sinner that seeks forgiveness by faith in Christ. He has not made the same promise to every nation on earth, but does it extend it to every individual. Do not misunderstand: He still wants nations to serve Him, and live in faith before Him. Only the nation of Israel has He sovereignly promised to bring to national repentance in the future, when Christ the Messiah comes to rule the earth (e.g., Jeremiah 31:27-40, pages 1238-1239). Jonah preached repentance in Nineveh and they repented and turned to God for forgiveness. With such a marvelous display of God’s grace and mercy, everyone should have been happy. Jonah, however, held the plan of God to bring salvation to the enemies of Jonah in contempt, because he despised his enemies, and refused to forgive them, even when God had poured His mercy upon them. We should all avoid the contempt of Jonah and learn to forgive our enemies, just like Jesus does. Without the forgiveness of Jesus, we would all be the enemies of God forever. Until you learn to love like God loves, your emotions will rule you (verse 1). Jonah had not learned how to control his thoughts or his emotions. When he saw the people of Nineveh repent, and how God spared them, he grew angry because his pleasure was not God’s pleasure. Your pleasure grows out of your desires. When your desires are blocked, then you react emotionally. Jonah had repented from the belly of the whale and decided to do God’s will. But, he had only conformed his outward behavior, and not his heart. Inside, rebellion still boiled away. In your life, you can do many “religious” things, but God looks at your heart. You must let God shape the things that please you. If God delights in showing grace to your enemies, then you should delight in showing grace to your enemies. We must get to the point in our lives where we love everyone that God loves, with all our heart. Jonah lacked compassion because he was out of touch with God in his heart. He still hated his enemies. Just because you know the compassion of God does not mean you will let that compassion control you (verse 2). Jonah had demonstrated outward compassion and preached to the people of Nineveh. Now we see that Jonah had known all along that God was full of compassion, gracious and abundant in loving-kindness. As children of God, we must be very careful never to separate ourselves from God’s feelings. God feels love for His enemies, and loves to forgive everyone who calls upon Him for salvation. We must never let our feelings overpower our desires. Jonah had a very clear picture and intimate knowledge of God’s character. But he clung to his hatred for enemies above his love for God. He remained in idolatry inside. Rebellion in your heart can lead to thoughts of suicide (verse 3). Jonah was so upset that God spared the people of Nineveh that he asked God to kill him. When hatred fills your heart, then you can despair of life to the point of suicide. Even believers think about suicide. Be careful of your anger and your own emotions controlling you. When you find yourself telling God that you resent His compassion and His plans of goodness for your enemies, then you will think crazy thoughts too. God will examine your rebellious heart by asking you to confront your anger before Him (verse 4). God will not be o.k. with your anger. He will not accept your sin, even while He loves you and will not condemn you. But, He will be faithful to make you look at your sin from His point of view. When God asks Jonah about “good reason (“הַהֵיטֵב “), he uses a word with the root “good.” This same root word described God’s pronouncement that His creation of the earth was good, His creation of the plants and animals was good, and His creation of man was very good. God in essence tells Jonah that his anger stands in rebellion against God’s love and that rebellion is not good. You never have a “good” reason to oppose God’s plans. But on a deeper level, God opposes Jonah’s anger. God does hold us responsible for our emotions. We can control them because they flow from our thoughts. As we let God control our thoughts, He will control our feelings. The way we change our emotions starts with listening to God tell us that He cares how we feel, and we must bring every thought captive to Him. Emotional control starts with the question: “Do I have good reason to feel ___________.” Plug your emotion that disturbs you into that blank. Let God talk to you about your love and see if you have replaced your feelings with God’s feelings. If not, then you remain in rebellion inside, just like Jonah. God commands us to love our neighbors, who turn out to be Samaritans for the Jews of the New Testament and Ninevites in the Old Testament. In both cases, the Jews had human reasons to hate the people who killed the people of Israel. Just remember that God has reason to hate you because you killed His only Son, Jesus Christ, with your sins. Instead, He loves you and offered the death gift of His Son to demonstrate His love by removing your sins so He could adopt you into His family and spend eternity with you. I should be very glad that God does not love me like Jonah loved the people of Nineveh. Jonah did the right thing, but he never loved the people of Nineveh. In fact, hatred and human emotion dominated him. Obedience without love means very little. Pouting in anger before God does not produce happiness or Godliness (verse 5). Do you remember the story of the prodigal son in the New Testament (Luke 15:1-32, pages 1630-1632)? When the wayward son returned home, and the loving father killed the fattened calf and threw a party, the older son became very angry. Self-righteous people tend to forget the grace of God in which they stand and get angry with people who repent. God loves repentance, and says that people who have been forgiven much love much (Luke 7:47, page 1611). Pouting because God has demonstrated His loving-kindness always points to lingering rebellion in your heart. Confess and forsake it now. Jonah sat under his own shelter and watched the city to see what would happen. From the context, it appears he wanted these people to fall back into sin so God would judge them. God provides shade for the hot and weary and He expects us to remember that fact (verse 6). As Jonah sat in anger under His shelter, God provided a plant to remove his discomfort by shading him. Jonah became extremely happy about the plant. You see, Jonah loves God’s benefits in his life, but he gets angry when God bestows those same benefits upon his enemies. God raised up the plant for physical comfort, but God raised up Jonah for the spiritual comfort of a nation. God removes your comfort to emphasize your rebellion (verse 7). God appointed a worm to eat the plant and remove Jonah’s comfort. That little plant had made angry Jonah extremely happy. God will always remove things from you to get your attention and remove your rebellion. God appoints natural elements to move you out of your comfort zone of rebellion (verse 8). God not only appointed and removed the plant, but He also appointed (like the fish) a scorching east wind to make Jonah faint (“וִּתְעַלָּף”). Notice in Jonah 2:7, Jonah was fainting away (“הִתְעַטֵּף”) in the belly of the fish and called for help. Now Jonah faints from heat and begged with all his soul to die, saying, “Death is better to me than life.” Jonah persisted in his rebellion of the heart. He stubbornly refused to let God rule his emotions. God will confront you with object lessons to remove your rebellion (verse 9). God appointed the plant to teach Jonah an object lesson. God used the same language “Do you have reason to be angry . . . ” about the plant that He used about His compassion for Nineveh. God wants you to look beyond your emotions and understand His character. Jonah still justified himself before God: “I have good reason to be angry, even to death.” Jonah was so taken in sin, and immersed in himself, that he would prefer to die than to have to watch Nineveh repent while he had a scorching wind torment him in the desert without shade. The plant serves an object lesson from God. God will show you how your compassion does not match His compassion (verse 10). God told Jonah that he had compassion on the plant, but not people. The plant, appointed by God, lived only one day, but Jonah loved it because it provided relief to him. Jonah loved things that helped him and he loved people who loved him. But that kind of love does not measure up to God’s love. God loves sinners. In this case, God pointed out to Jonah that he did not cause the plant to grow, and he did not work on the plant. Yet he loved it. God appointed the plant, just like he appointed the great fish. God destroyed the plant, and turned the heat up on Jonah. Jonah resented God’s choices, but God wanted to teach Jonah about compassion. God loves people while they are still sinners (Romans 5:8-9, page 1764; Ephesians 2:1-10, page 1828). God gives compassion to people who do not deserve it, and so should we (verse 11). God ends the story of Jonah with a simple statement: Nineveh had 120,000 children, and many animals, not to mention adults. Certainly the children and animals would not be guilty of willful sin and should be spared judgment upon sin. He poses His lesson as a question with an obvious answer. Of course God should have compassion on such people, no matter how much we dislike it. But if we do not like what God is doing with our enemies, then we have a problem with rebellion. Jonah serves to remind us that mere outward obedience without inward submission to God’s love will never be acceptable to God. He leaves that question hanging before us: why do we oppose His compassion on our enemies?